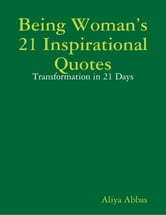 This book contains step to step guidance in self transformation in 21 days! Get ready to get empowered, motivated, and inspired to become the best you can be. 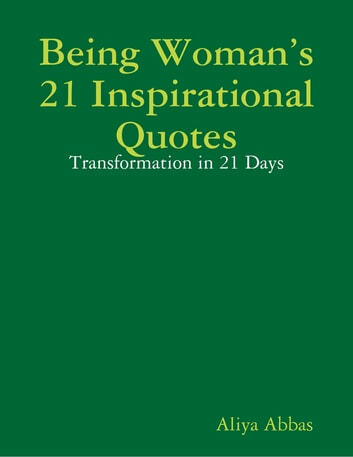 After 21 days of daily inspirational reading material followed by self-to-do exercises, you will feel the difference in yourself, a new and confident person who will be ready to move forth into his or her unique greatness! Get ready to LIVE rather than just exist!